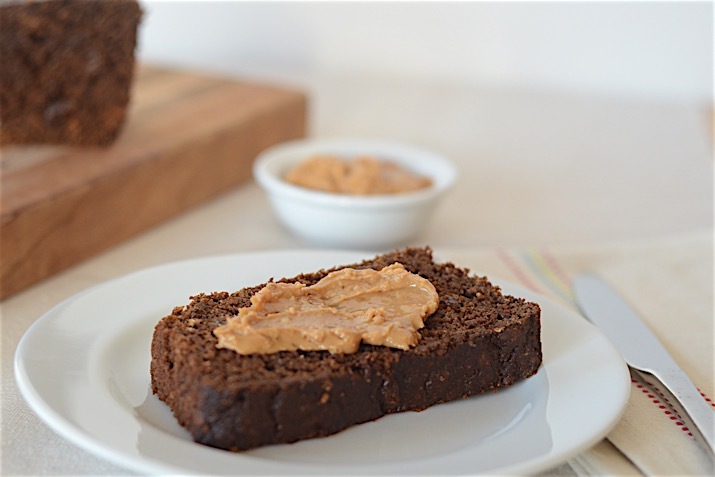 This moist loaf is a great way to enjoy iron-rich molasses. It's an old-fashioned recipe, going back to the days when sugar was not as common as it is now. To keep the loaf moist, it's baked using a "bain marie," which is simply a pan of hot water in the oven that provides both gentle heat and moisture, preventing a crust from forming as it bakes. Preheat the oven to 325°F. Boil a quart of water to use in the bain marie (water bath). Oil a large loaf pan, and get a larger baking pan that the loaf pan can be placed in to make the bain marie. In a large bowl, combine the flour, rye flour, cornmeal, baking soda, baking powder, and salt, and whisk to combine. In a medium bowl, mix the buttermilk, molasses, oil, and egg until well combined. Stir the wet mixture into the flour mixture and stir just until well mixed (do not overstir), then stir in raisins. Scrape the batter into the prepared loaf pan and cover it tightly with foil. Place the loaf pan in the larger baking pan, then pull out the bottom rack in the oven. Place the baking pan on the rack and pour boiling water into the baking dish to surround the loaf pan with water about 3 inches deep. Push the rack in carefully, then bake for 1 hour and 45 minutes to 2 hours. To check for doneness, peel back the foil and test with a toothpick. When the toothpick comes out with only a few moist crumbs attached, cool the loaf on a rack in the pan. The loaf keeps, tightly wrapped, for up to a week in the refrigerator. Serve with a side of baked beans or enjoy it as you would other quick breads: warm with a pat of butter or topped with jelly, cream cheese or peanut butter.